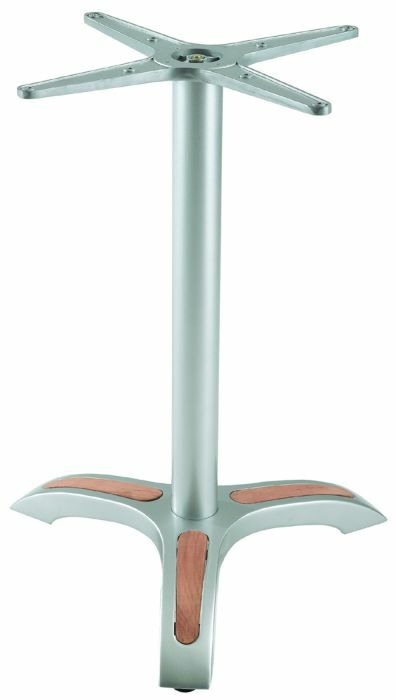 Modern outdoor table base in a Matt chrome finish with Teak inserts on each foot. Available from stock for a free and fast delivery. We can offer a free Uk delivery with this range of furniture. Available from stock for a free and fast delivery. A contemporary style café table base suitable for indoor and outdoor environments.